Had it not been for a chance encounter in a fabric store, Spokane Civic Theatre’s production of “Hello, Dolly!” would have looked a lot different. 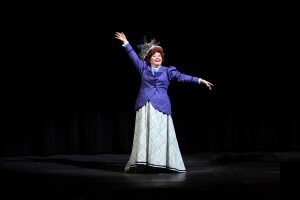 Robbi Starnegg, who stars as Mrs. Dolly Gallagher Levi, was cutting fabric for Civic costume designer Jan Wanless when the conversation turned to “Hello, Dolly!” auditions. Starnegg, who moved to Spokane a little more than a year ago, decided to audition. According to director Troy Nickerson, Starnegg had worked professionally for years and had always wanted to play Dolly. During her audition, it quickly became apparent that Starnegg was just right for the role of the widowed matchmaker. “She had a spark that I loved,” Nickerson said. “She moves well, she has a charm and a warmth to her that I really like. She’s a big voice and a great actress. What else do you need?” Before joining Civic’s production, which opens Friday and runs through June 10, Nickerson’s only experience with the musical was as one of three choreographers on a production of “Hello, Dolly!” nearly a decade ago. He wasn’t too familiar with the show otherwise but has since enjoyed getting to experience it in a new way and find new elements, mainly the story itself, to love. “Hello, Dolly!” follows Levi, a sought-after matchmaker tasked with finding a wife for “half-a-millionaire” widow Horace Vandergelder (Thomas Heppler), who Levi herself is pining for, and Ambrose Kemper (Preston Loomer), who has his sights set on Vandergelder’s niece Ermengarde (Marlee Andrews). 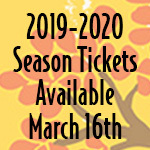 “Hello, Dolly!,” which features lyrics and music by Jerry Herman and a book by Michael Stewart, also stars Calen Martin as Cornelius Hackl, Nicholas Griep as Barnaby Tucker, Lorelei Dimmel as Minnie Fay and Jessica Loomer as Ernestina Money. The ensemble includes Alex Barclay, Teo Damitio, Olivia Davies, Jenner Davis, Jerrod Galles, Cesar Galvan, Leah Hansen, Alyssa Hersey, Robin Hill, Tre’ Keough, Elizabeth Martin, Jessica Martin, Leilani Santiago, Amber Sety, Logan West, Eric Wilson and Mickey Zhang.